My teacher in second grade (1961-1962) at Sallas Mahone Elementary School in Valdosta, Georgia, was Mrs. Wall. I don't remember much of anything about second grade except for bits and pieces. I don't remember if it was second or third grade that we had to learn our way home from school in case of a missile attack. I don't know if we also learned to hide under our desks like I've heard other folks my age talk about having to do at that time! However, one thing stands out about second grade, and it has nothing to do with class. Second grade was when I found out that my dad had been married to someone else before he married my mom! What a surprise that was! After a new boy joined our class, I was excitedly telling my mom about him, and I told her what his name was. A day or two later, my younger brother Andy told me that he heard our parents talking and heard them say that our mom wasn't our mom! I didn't believe him. How could she not be our mother? I knew that wasn't right. So I went and told her what he said, hoping she would tell me it wasn't true. She told me she was most certainly our mother! That evening, when our dad came home from work, he said he wanted to talk to me. I ran! I thought I was in trouble for repeating what my brother said. It turned out that the new boy in class was the son of my dad's first wife (she had remarried after she and my dad divorced). Dad told me that he and Mom thought they should tell me before I heard it at school. They didn't know if the little boy knew anything about it but thought they should tell me just in case. I thought it was pretty funny after that. 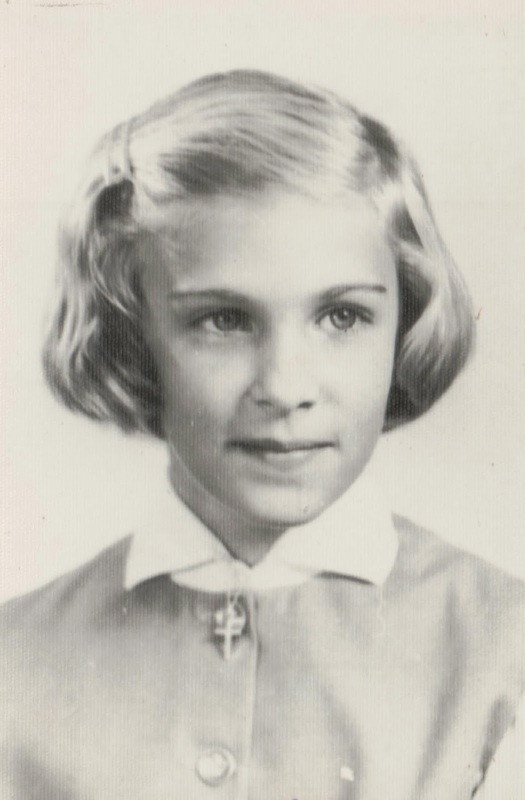 As you can see from the photo below, I still had the "teeth too big for my mouth" look by the time third grade rolled around (1962-1963). I've always hated my school photos. They got worse each year. 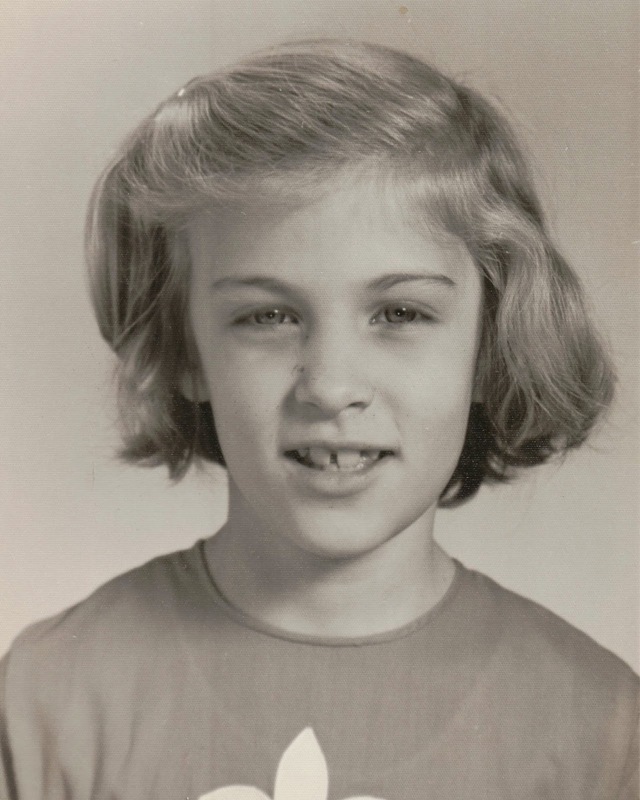 I think my parents were fed up with them, too, because in fourth third grade, they sent me to a professional photographer. **Updated to add the correct photo for third grade! I was a year off. This one was taken by a professional photographer. The one I originally posted was fourth grade. My third grade teacher was Patsy Smith, a locally renown artist. I loved the art projects that she had us do, but I only remember one project--making Easter eggs. She had each of us blow up a balloon and then cover it with newspaper dipped in Plaster of Paris. After this dried (which seemed to take an excruciatingly long time), we popped our balloons. We cut a hole in the top and on one end. Then we painted our eggs and arranged a scene inside the egg. I don't remember what mine was. Probably a chicken or a rabbit. I was so proud of my egg. It was so much fun to make! Mrs. Smith would read to us after lunch. The only book I remember is Charlotte's Web. What a great story! Also, third grade was when I found out that my mom was expecting again! Her fifth! I remember feeling embarrassed, because I thought she was too old. Imagine! She was only 37.